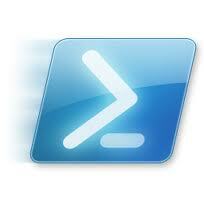 In case a machine name gets changed accidentally or perhaps your users have admin rights and decide to rename their computer the below powershell script will return you the true serial number or service tag. This is also useful in case the physical sticker or tag on the laptop or desktop has been rubbed off or is illegible. I'm sure some world class Enterprise System Admins will scoff at such a silly script but sometimes simple is best when you need to get one piece of information quickly. As with most remote scripts be sure you are an administrator on the remote or local system before attempting or you may not get any results.